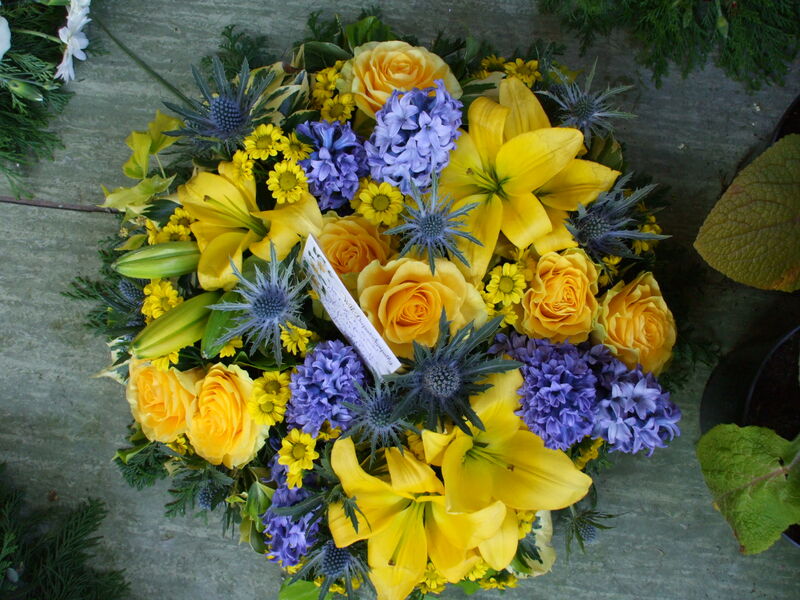 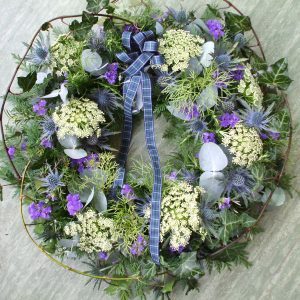 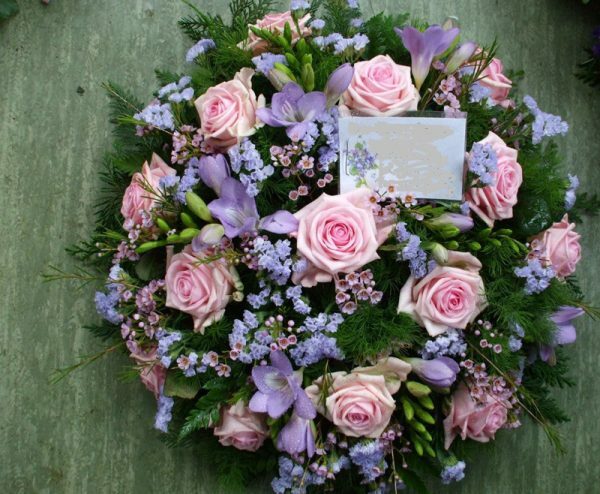 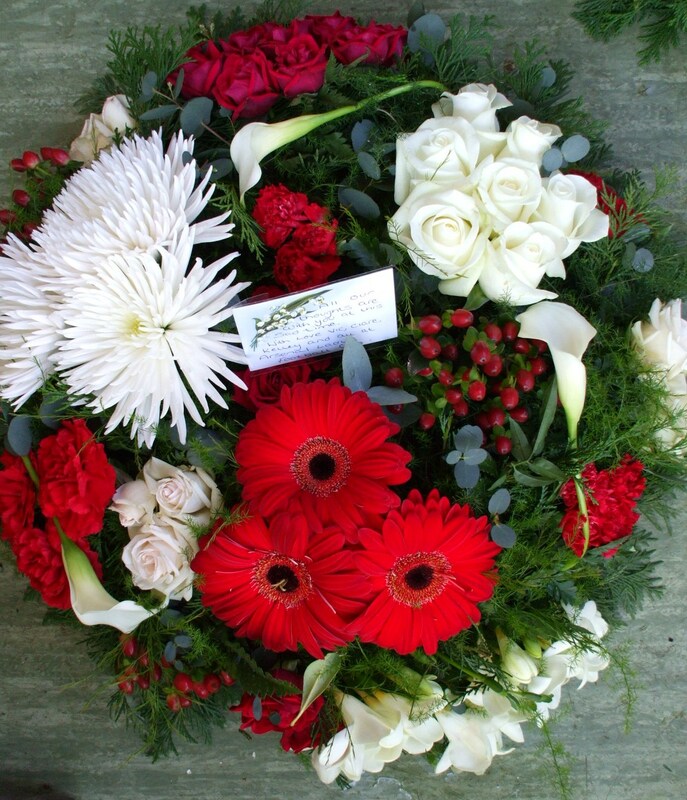 The ‘posy’ tribute is a beautiful design suited to any kind of funeral. 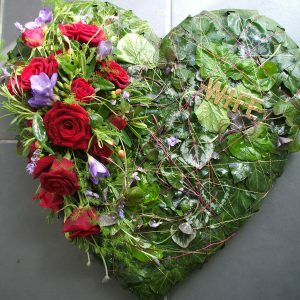 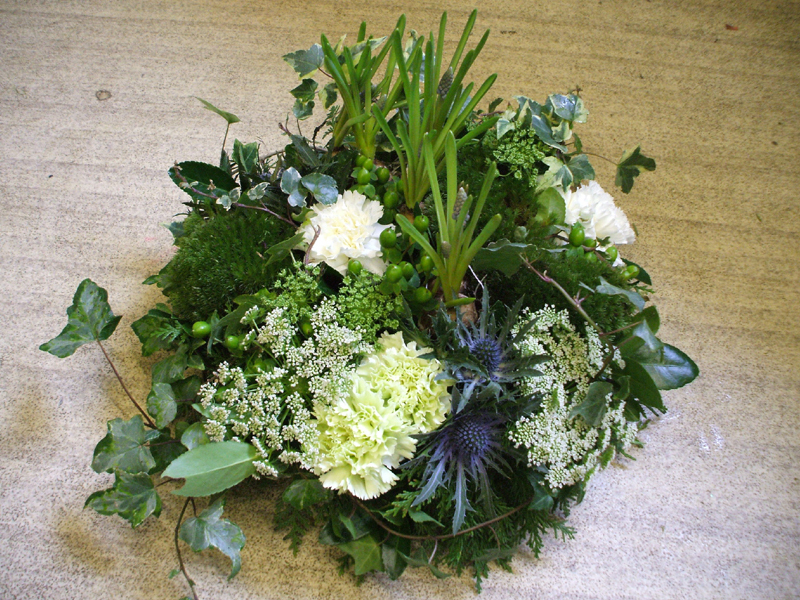 The round shape means the flowers and foliages can be viewed well from any angle and create a lovely arrangement. 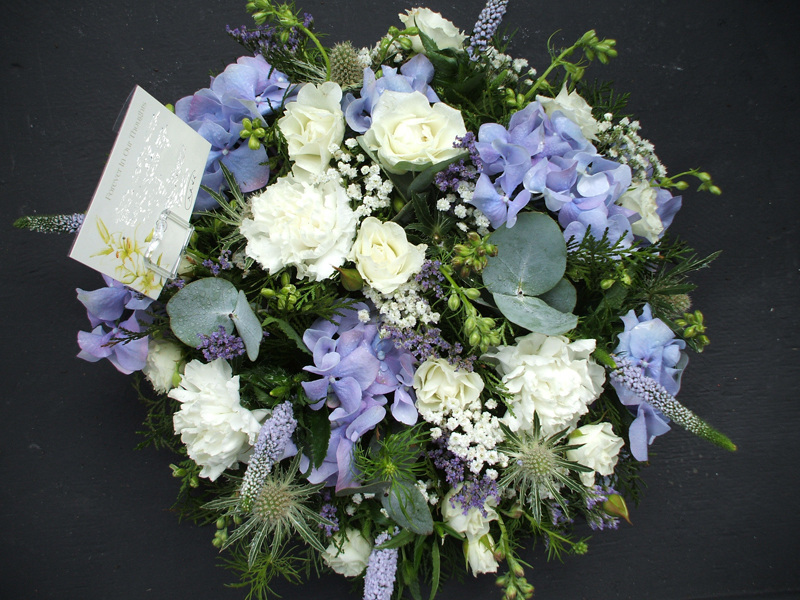 The woodland posy is a natural ‘garden’ style of tribute using a seasonal selection of bulbs, plants and flowers. 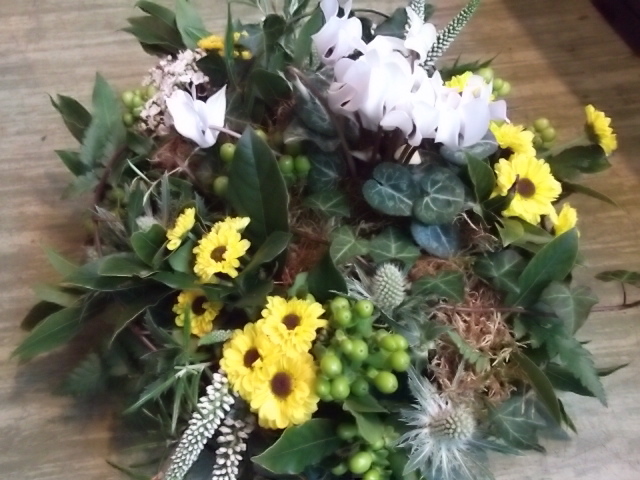 The contemporary posy is a seasonal selection of flowers and foliage. 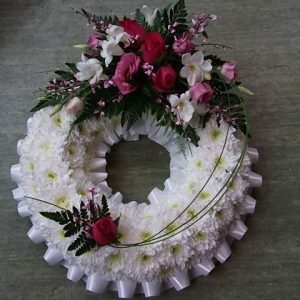 Please choose your colour scheme.